Paul Strassmann’s blog: 048. Is the stock market less profitable? 048. Is the stock market less profitable? Overvaluation of the stock market reduces profitability. An overvalued market shows high levels of capitalization so that the price of capital must be divided by shrinking profits. 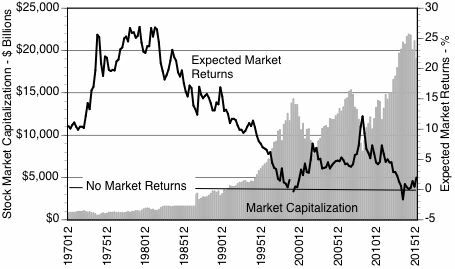 The expected returns of the stock market (e.g. Earnings/Capital) are now close to zero and even negative recently. CONCLUSION: The profitability of the stock market as measured by the S&P 500 average has declined since 1980 and is currently projected to generate only marginally low profits.